The South African Environmental Observation Network (SAEON) is a National Facility of the National Research Foundation (NRF). SAEON is a comprehensive, sustained, coordinated and responsive South African environmental observation network that delivers long-term reliable data for scientific research and informs decision-making for a knowledge society and improved quality of life. 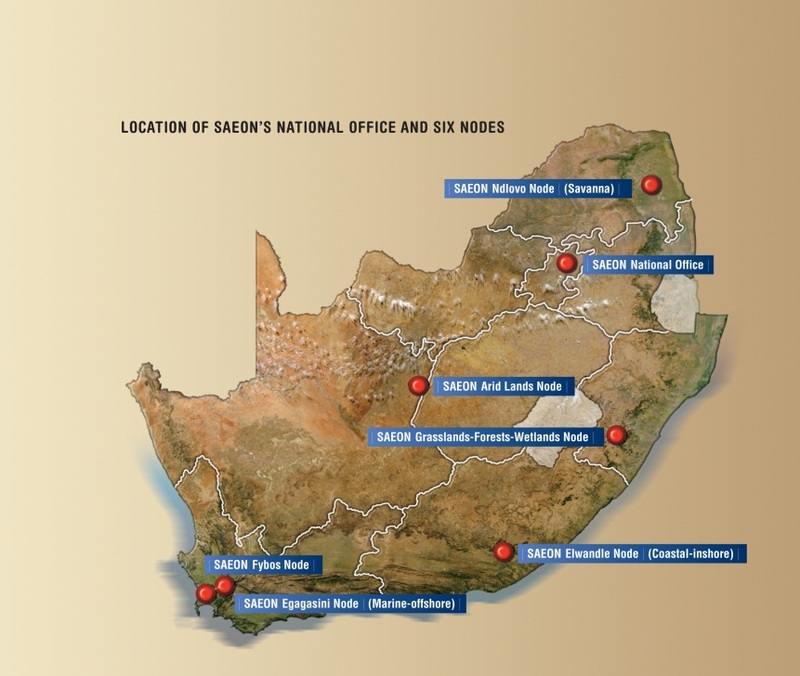 SAEON’s mandate, to detect, understand and predict environmental change in South Africa, is achieved through six regional research nodes, each with their own observation sites and research infrastructure. These nodes serve as research and education platforms for long-term studies of ecosystems to help us understand them and improve our ability to detect, predict and react to environmental change. The core research programme strives to distinguish between natural change and that caused by human activity, as well as to unravel the relations between social change and ecosystem change. SAEON brings better cohesion to research programmes nationally and internationally, and ensures that long-term ecological research data is archived and accessible as a national asset for generations to come.